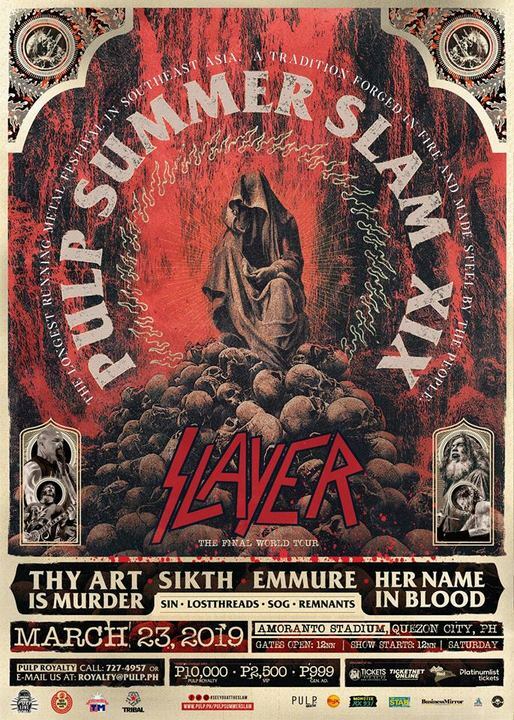 All hell will break loose at the Amoranto Stadium on March 23, 2019 (Saturday), as Slayer headlines PULP SUMMER SLAM XIX, along with Her Name In Blood, Emmure, SikTh, Thy Art Is Murder, SIN - Philippines, LOSTTHREADS, SOG, and Remnants PH. Prepare for the second coming. The 19th installment of Southeast Asia's longest-running metal festival is upon us. 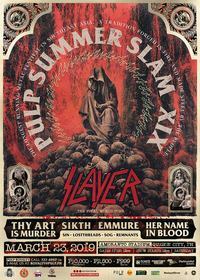 #SeeYouAtTheSLAM!